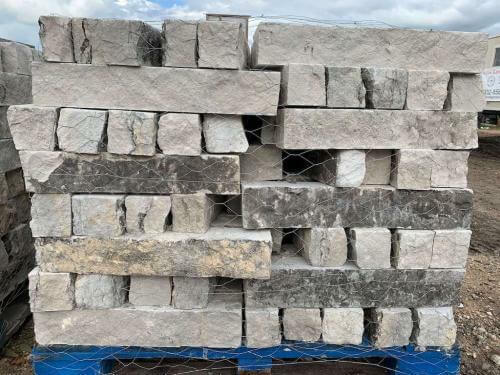 Chopped stone limestone are shaped in squares and rectangles that are 4”x4” in height and width. 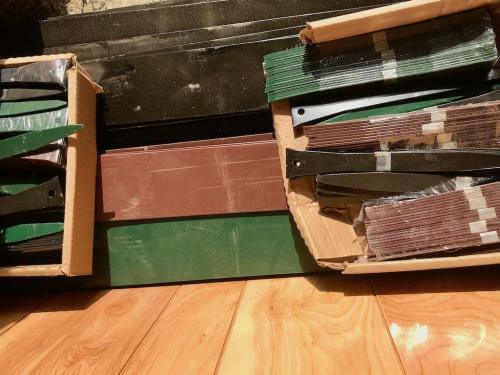 The estimated coverage of 4”x4” chopped stone will on average cover roughly 100 linear feet per ton. 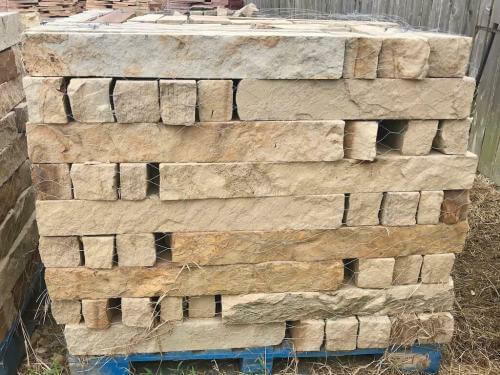 The lengths of the stone will all vary depending on the stone you choose. 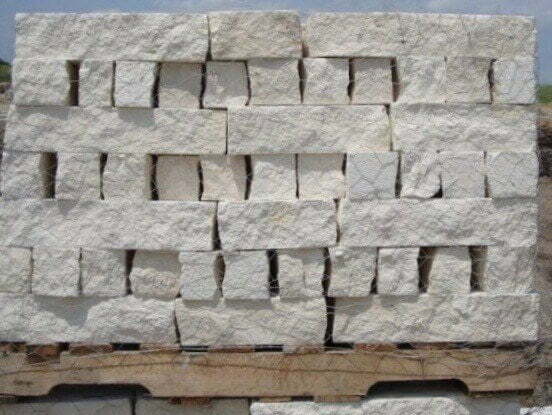 This stone is natural stone used as building supplies and landscaping materials. 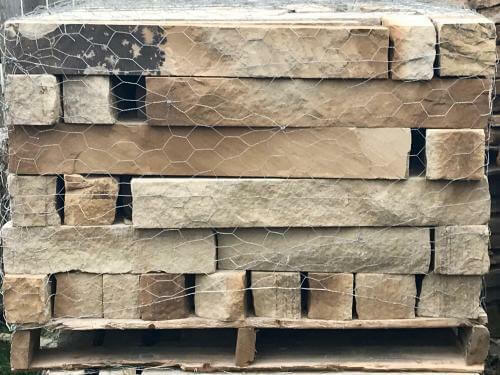 The chopped stone limestone is commonly used for stone edging flowerbeds, outdoor kitchens, stone fireplace, stone siding, retaining walls, and more.